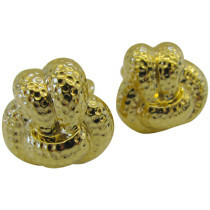 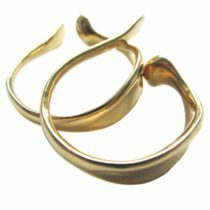 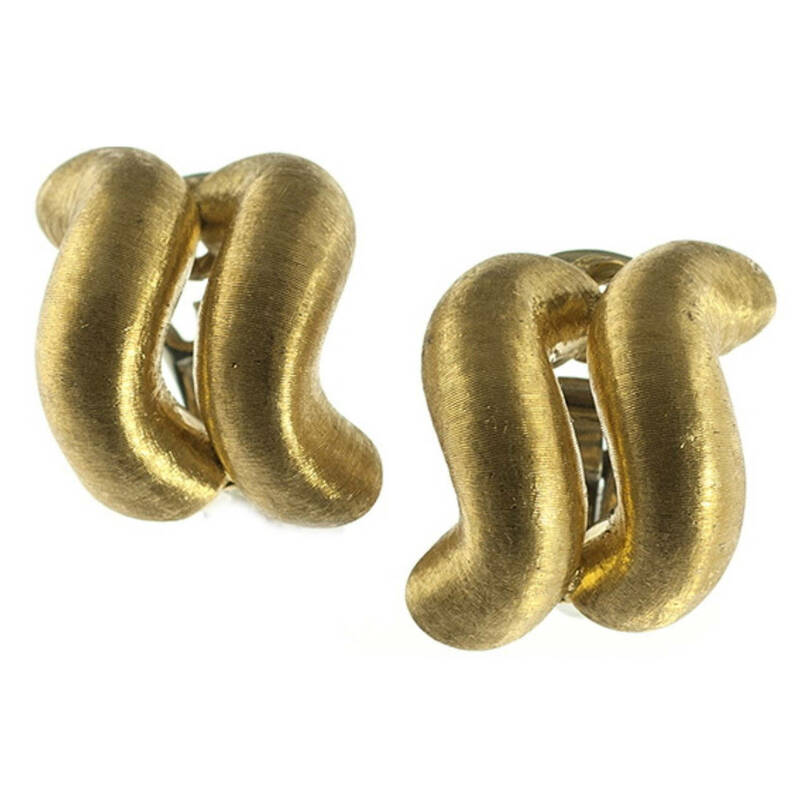 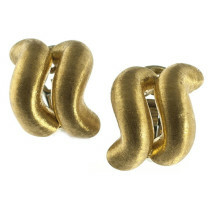 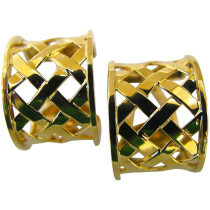 Elsa Peretti gold earrings for Tiffany and Co.
A stylish pair of Buccellati earrings. 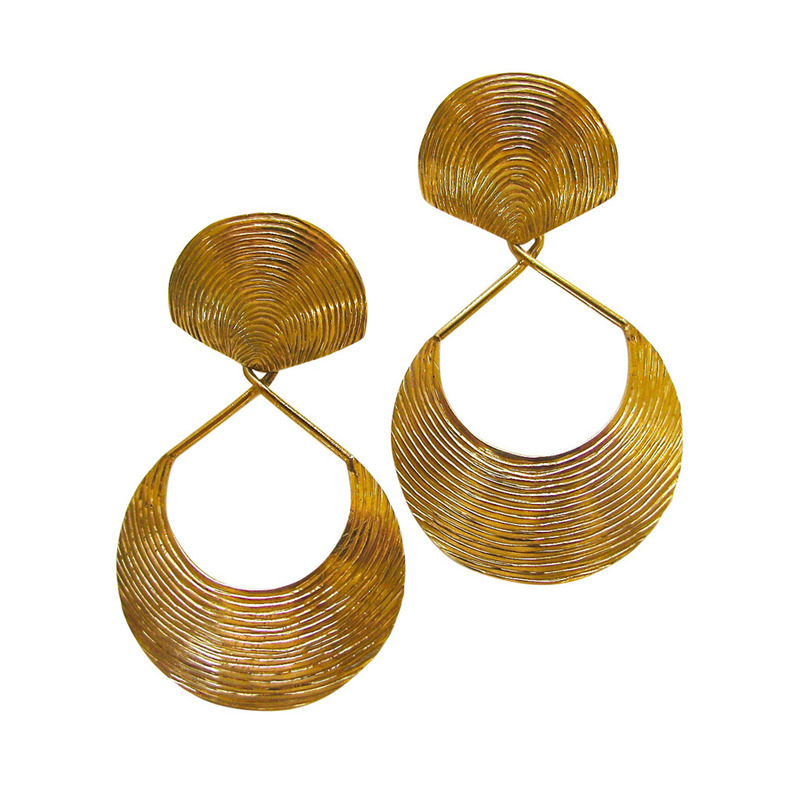 A smart pair of yellow gold earrings by Fulco di Verdura. 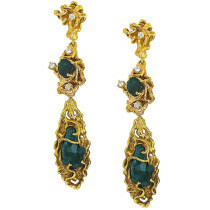 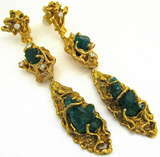 A Showy pair of Chatham emerald earrings. 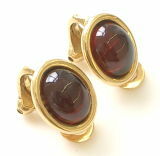 A handsome pair of Verdura Ear clips. 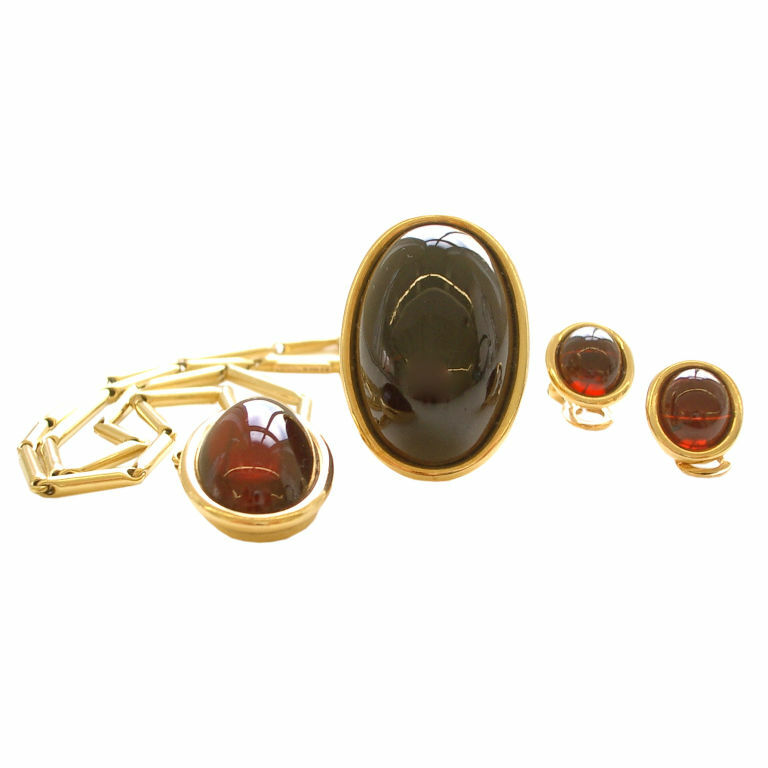 The ring, a deep red cabochon garnet measuring 1 1/4″ x 1″ with a “Grima” modified triangular ring shank, size 6. 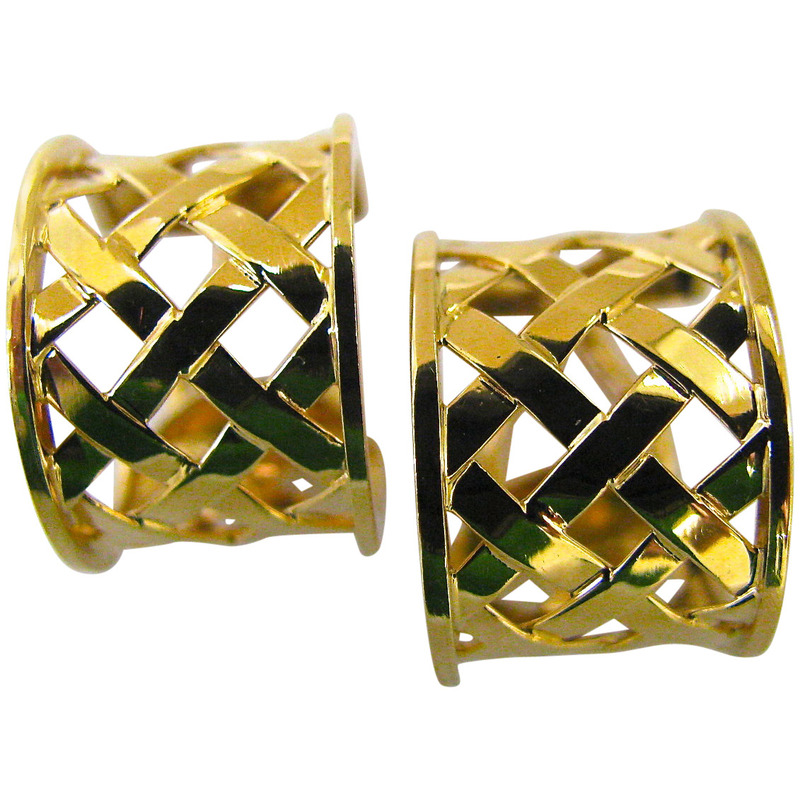 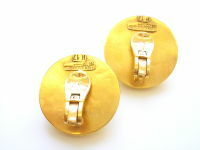 A handsome pair of gold earrings. 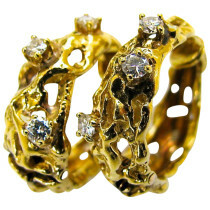 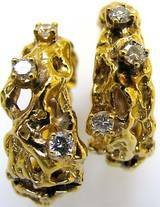 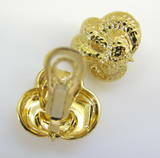 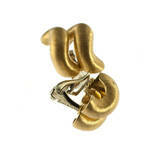 A chic pair or gold and diamond ear clips by Arthur King. 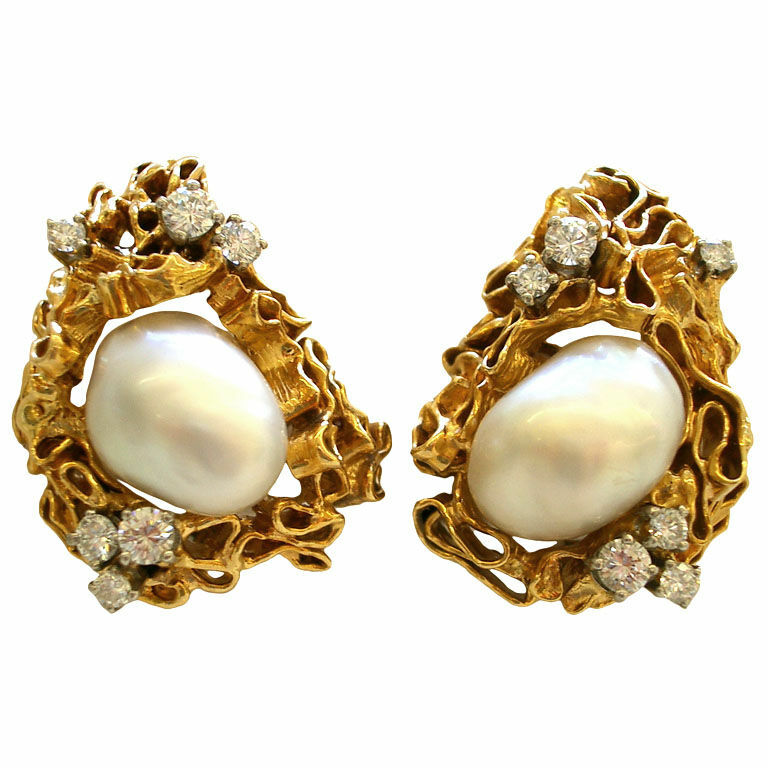 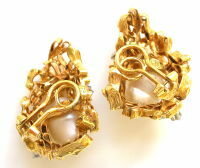 A chic pair of 18k yellow gold diamond and South Sea pearl earrings by Gilbert Albert. 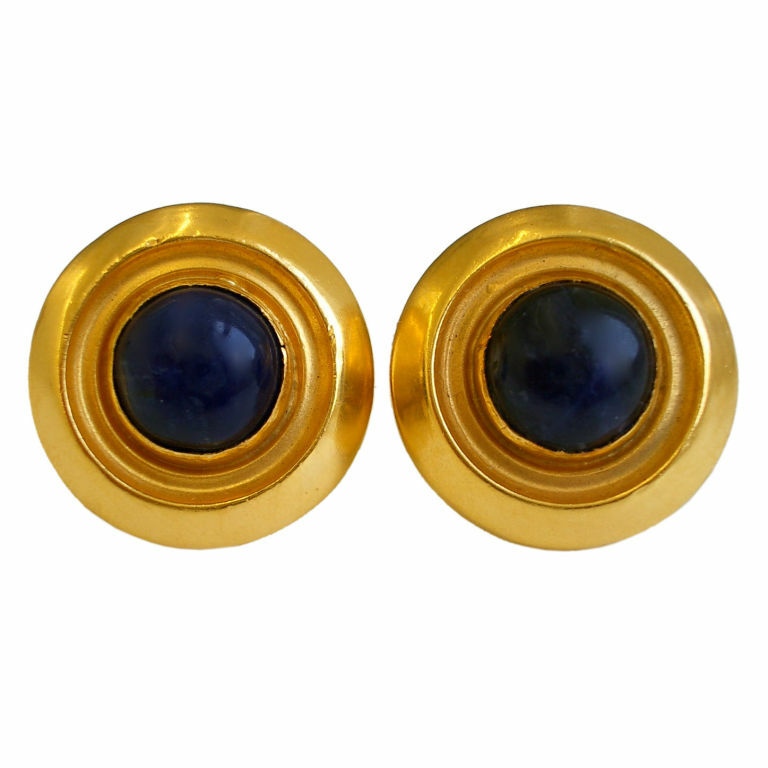 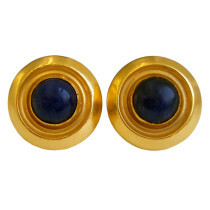 A chic pair of 18k yellow gold and sodalite ear clips by Ilias Lalaounis.